CosmoBC.com » LawBlog » General Law » What Happens In The Appeals Process? 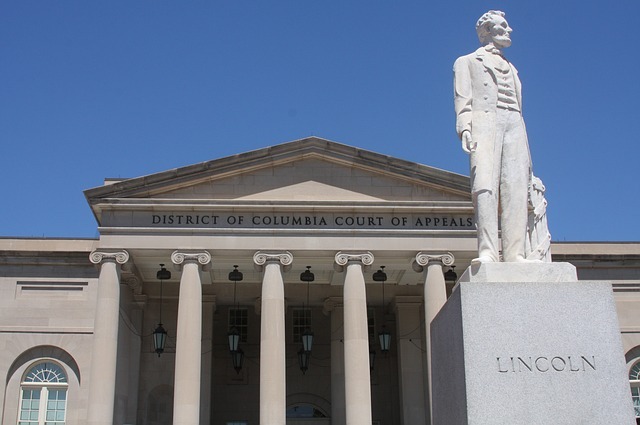 When people go through a state or federal-level trial only to lose, they can file an appeal. Sometimes, the appeal is handed down via a judge’s order, while other times, it is the final judgement entered by a jury. Either way, the appeals court is responsible for reviewing the proceedings of the trial to determine if there were any errors of law. If the appeals court finds something, it reverses the decision. At that time, attorneys for both the plaintiff and defendant prepare and submit a brief. Depending on the situation, the court may also grant an oral argument. The appeals court will then review the submitted documentation or hear the verbal debate, followed by making its decision whether to dismiss the case or to retry it. Unlike an initial trial, an attorney does not present evidence or call witnesses when appealing a case, nor is there a jury. Instead, the appeals courts will review the facts publicized in the trial, looking for any errors of the law. The only exception is if a factual finding goes against the mound of evidence. For the appeals process, several judges get involved. For an initial appeal, anywhere from 3 to 12 judges review the trial information simultaneously. However, when appealing to a much higher court, the assigned number of judges typically examine the claims at different times. Whether a case goes to a state or federal Supreme Court, there are between five and nine judges. If someone’s case goes to an appeals court at the state or federal level but that individual loses, in most cases, that appeal is final. Unless the lower appeals court sends the case back to trial or the attorney submits a “writ of certiorari” to the US Supreme Court, there is no further action to take. Submitting a request to the supreme court does not automatically mean the case will be accepted. With an overwhelming workload, the Supreme Court usually only reviews cases that involve a constitutional or federal issue. When it comes to a criminal trial, only the defendant can file an appeal, whereas, in a civil case, this is something both the defendant and plaintiff can do. In both scenarios, this gives the individual the opportunity to argue that the judge misrepresented the law or that the trial had legal errors. There are other types of appeals. For instance, in a bankruptcy case, the judge’s ruling can go to the district court. In that case, legal arguments as well as a written brief trying to prove the court made an error go before three bankruptcy judges. An attorney can even file an appeal over a dispute for Social Security benefits. However, rather than a court of appeals, it usually gets reviewed in a district court. Due to the critical nature of an appeal, it is imperative for the person who went through a trial to have a qualified appeals attorney. With a compelling written brief and possibly a strong argument, there is a chance of getting the appeals court to decide favourably for the defendant or plaintiff.